The workers at Inland Container Depot (ICD), school teachers and surrounding slum dwellers and garbage collectors are still in panic, a day after an early morning leakage of chemical causing illness to 475 students, mostly girls. The affected population not just includes students and teachers but also the workers and residents of VP Singh slum, which has a population of more than 7000. The popualtion of the ICD workers is another 2000. 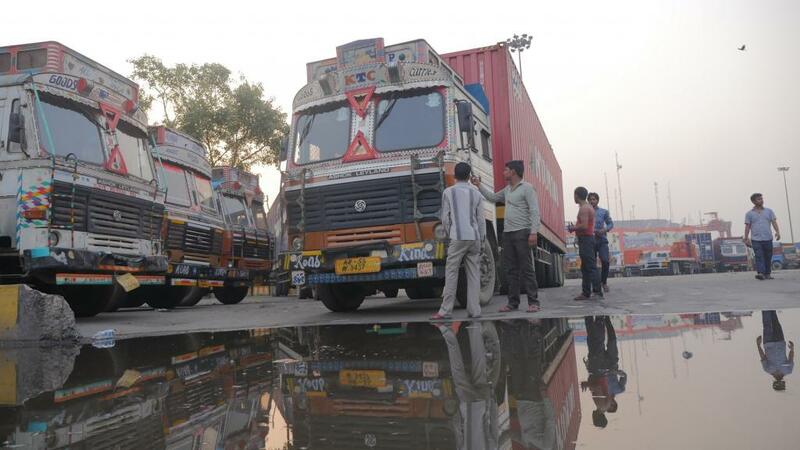 It was around 3 am on Saturday (May 6) morning when Babloo Rajak, a container driver reached the Container Corporation of India (CCI) with his empty container truck. “After parking, I was moving towards a tea shop nearby while I felt tears rolling over cheeks, irritation in the eyes and feeling of dizziness,” says Babloo who has been working in this place for the last 17 years. “I saw garbage collectors who were already in tears. They said it looks like someone has cut a truck of onions,” says Babloo. After that, he went to the nearby slum to take rest in his room. He washed his face and eyes, took bath and slept in a closet. Sonu singh, a supervisor of the parking area, said that the place turned so suffocating that he went away to a distant place at about 4 am and washed his face to get relief. “At that time no one knew what was going on. There was chaos as everyone was running away. The place looked deserted. There were containers without human being,” says Sonu. 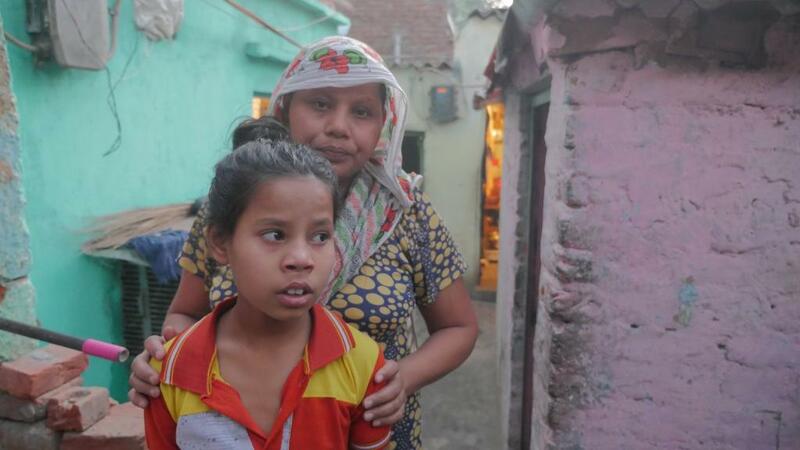 A 14-year old girl from the slum, Nandini, who fell unconscious at around 6 am, was taken to a hospital by her uncle. “In the morning, we all started feeling suffocated and our eyes were burning. Initially, we thought it was due to pollution” says Rani, mother of girl. According to the residents of the slum, no one paid attention to their sufferings. Two girls, Khushi Rawat and Vishakha, were re-admitted to Batra Hospital once they were discharged at 5 pm. Rest of the 63 students and teachers were discharged from Batra Hospital. According to Pul Prahladpur Police Station Inspector, Ashok Kumar, 293 girls were discharged till 7 pm. The CCI, a Navratna Public sector undertaking under the Ministry of Railways, has ICD Tughlakabad as its largest export-import point of the country and is engaged in services related to clearance and cargo handling facilities throughout India. Sensing the panic in the campus, the ICD informed Delhi Fire service at 7:10 am, saying there were some burning smells. The chemical leakage, which the ICD could not detect, suddenly became the talk of the town when more than 400 students of adjoining girls’ school, Rani Jhansi Sarvodaya Kanya Vidyalay in Railway colony started falling sick and unconscious. "It created chaos around 7:30 am,” says Raman Bihari Saraswat, a Hindi PGT teacher of the school. “We informed the nearest ESI hospital and Majidia Hospital to send ambulance. As the number of students reporting sick started increasing, we informed the police,” he says. Many teachers have also fallen unconscious. Around 8:15 am, ambulances were pressed into service and girls and teachers were shifted to four hospitals: Majidia Hospital, Apollo Hospital, Batra Hospital and ESI Hospital. A team of National Disaster Management also arrived in to control the situation. The masked team visited the ICD campus. They put some chemicals to neutralise the effect at one place where the leaked chemical was found stagnant and covered it with soil and sands. The location of school is quite unfortunate. The two schools, which have a strength of more than 7000 students, are surrounded by Inland Container Depot (ICD) and a landfill. The eastern side of the school is covered by big drainage whereas southern side has the Railway colony. According to teachers, small leakages were reported earlier also, but they were not as grave as Saturday's incident. “We thought it was due to landfill and drainage smell causing eye burning or irritation,” says a teacher. Reacting to the incident, Anumita Roychowdhury, executive director, Research and Advocacy, Centre for Science and Environment, says, "Our urban planners will also have to answer why Master Plan of Delhi allows an inland container depot in a densely populated part of the city to receive international shipment of goods and chemicals from overseas to distribute locally? This is not only bringing more polluting trucks inside the city but also hazardous chemcials and poison and adding to congestion nightmare." According to the Sonepat-based administrative unit of Crystal Crop Protection Pvt Ltd, an agro-chemical company registered in Azadpur, the leaked chemical was "2-chloromethyl-5(chloromethyl) pyridine". This chemical is used as an ingredient in manufacturing Imidacloprid, a insecticide used to control sucking insects, termites, some soil insects, and fleas on pets. The company imports this chemical from China. The liquid chemical, when it comes in contact with air, becomes harmful. It evaporates fast and mixes with air under sun light. Material Safety Data Sheet (MSDS), a widely used system for cataloging information on chemical, chemical compounds, and chemical mixture, indicates that ‘2-chloromethyl-5(chloromethyl) pyridine’ can produce chemical burns to the eyes and its vapours may cause extreme irritation. Inhaling this can cause respiratory irritation and, in some, can further cause lung damage. There may be dizziness, headache, nausea and weakness. It seems to have long-term impacts, too. Y K Gupta, Head, Department of Toxicology and Pharmacology at AIIMS, who was also inspecting the incident scene in the evening of May 6, spoke to Down To Earth. He claimed that such a minor incident could be easily controlled. “There is nothing to be panicked about such leakages. It can be managed with primary safety and care. Almost all children are discharged. Our institutions like AIIMS are capable of handling these issues,” says Gupta. ICD Tughlakabad is the largest export-import hub of multi-modal transport in the Indian subcontinent. It is spread over 44 hectare which facilitate companies engaged in import and export. On an average, ther are 900 importer containers and 400 exporter containers passing through it every day. The said container arrived on May 5 and moved out on early morning of May 6. According to the ICD, the chemical leaked outside the gate. It is the duty of a custom official to check the sample in lab. The container departed at 3:11 am of May 6. However, the workers, who are engaged in parking jobs, claimed that the container was standing in the parking area for three days. According to an ICD official, the leakage happened outside the exit gate and might be the result of mishandling by owner. It has put blame on custom department, which is repsonsible for checking the content of the containers. “It is a duty of custom department to check content of the customer,” says an official working at Tughlaqabad unit of CCI. Has ICD been careless in handling containers? 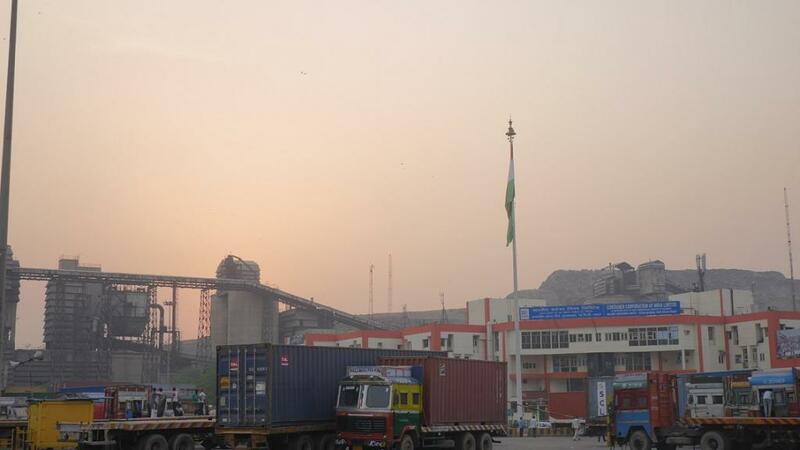 “It is not the first time that ICD's handling of containers has come under scanner. Earlier too, it had engaged in illegal handling of waste oil which was brought to the notice of the Supreme Court,” says Gopal Krishna of Toxic Watch Alliance, a New Delhi-based non-profit research organisation. The careless handling of chemical amount to violation of the Environment (Protection) Act 1986 and raises the question of compliance followed while importing the chemical. "The much bigger question that haunts since Bhopal gas leak and oleum gas leak from Sri Ram Fertiliser in Delhi is the issue of liability. 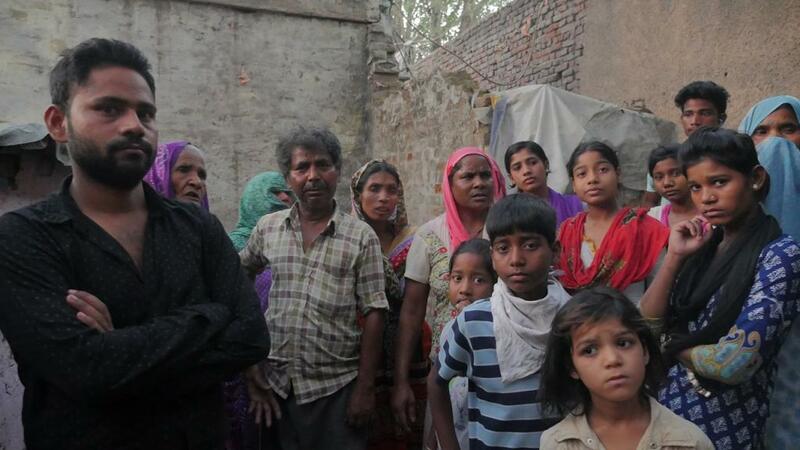 After the oleum gas leak in Delhi the Supreme Court had established the principle of unlimited liability to make industry liable to meet damages to the community affected outside its fence. Who will, in this case, make the supply chain including transport of hazardous chemicals liable to fix responsibility and pay damages to the community?, " asks Roychowdhury. How did the chemical leak? While talking to Down To Earth, Romil Baniya, DCP (South), said that the said container has was seized from Sonepat unit of the company. “The truck had 210 drums of 2-chloromethyl-5(chloromethyl) pyridine. Out of which, four drums were broken, which caused leakage at ICD around 3 am,” says Baniya to Down To Earth. There were two containers of chemicals. The damaged one was left here and the other one had moved out of CCI at 3 am and had safely reached its destination. Ministry of labour & Employment and Ministry of Environment & Forest must take necessary action.